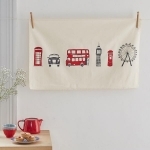 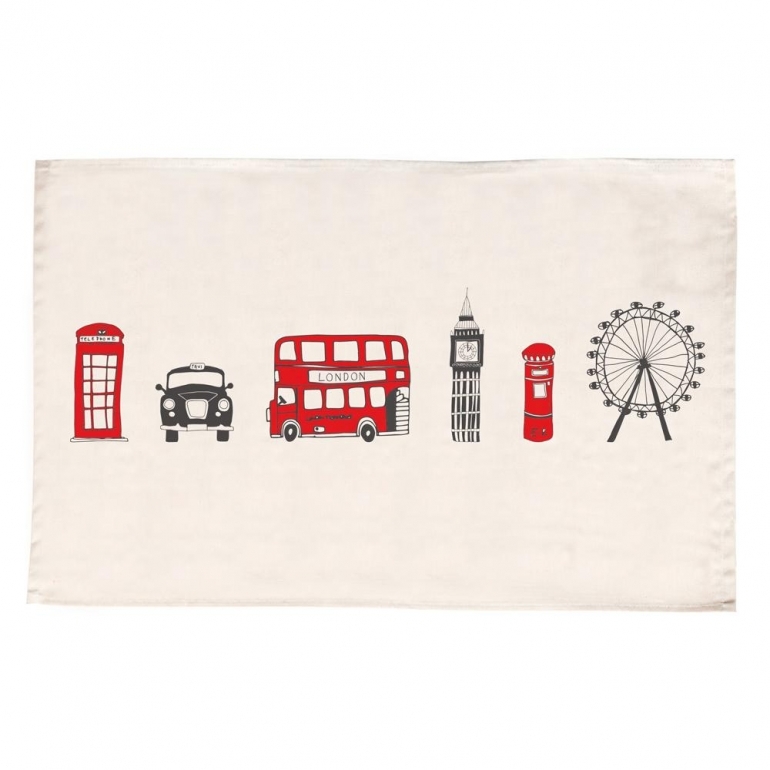 This bold London Skyline tea towel highlights 6 London icons so associated with Britishness that tourists can often been seen posing beside them, and serves as a reminder of everything you love about London. 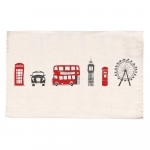 They include Big Ben, the London Eye, London bus, taxi, post box and telephone box. 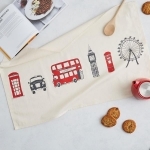 This tea towel by Victoria Eggs will make you smile in the kitchen and, like all good things in life, will help with the washing up.